Happy new year! Are you setting new year’s resolutions for 2014? 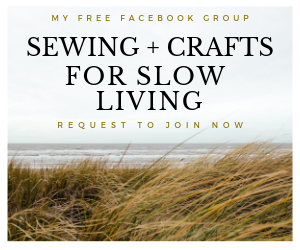 To aid my resolution to learn new skills, I’ve got five sewing and craft goals to achieve this year. I think writing goals down helps maintain focus and motivation. Oh, and posting your goals on the internet certainly can’t hurt to keep you in line! In 2013, I launched an e-book, knitted my first cardigan and made my first quilt, all while getting used to living in a new country. Hmm, maybe I could have done a lot more if I had written some goals down at the beginning of 2013? I’ve dabbled in crochet, but I’m yet to make anything worthy of being photographed. I think getting an even tension is easier with knitting than crochet. Maybe because you have two needles instead of one crochet hook? 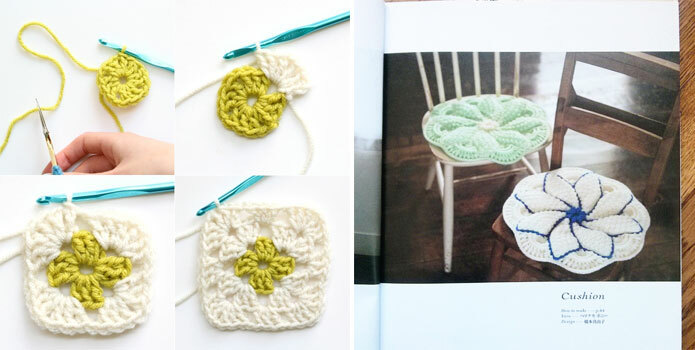 I would love to crochet One Sheepish Girl’s granny square coasters (below left) and floral chair cushions from the Japanese knitting book, Hand Knit Story Vol. 3 this year. 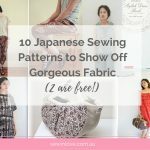 I do adore Japanese sewing patterns, but they tend to mainly consist of smock dresses, tunics or a babydoll type of unstructured garments. 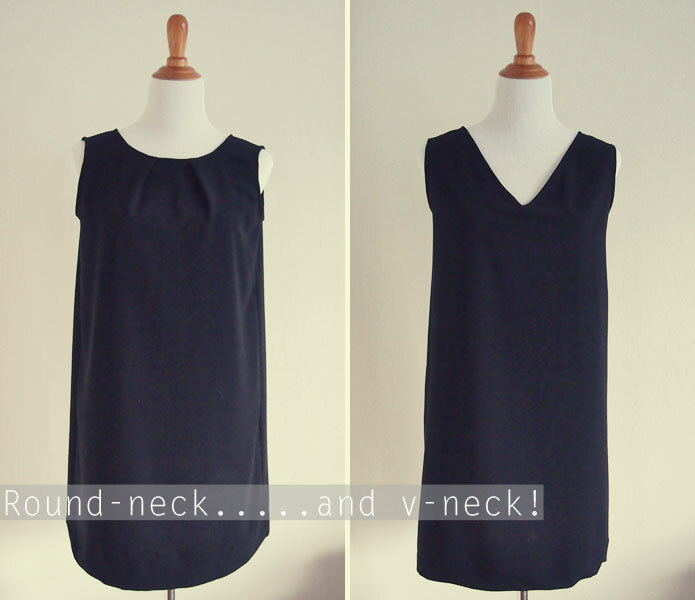 I want to sew a shift dress this year that is tailored, sleek and nipped in at the waist. 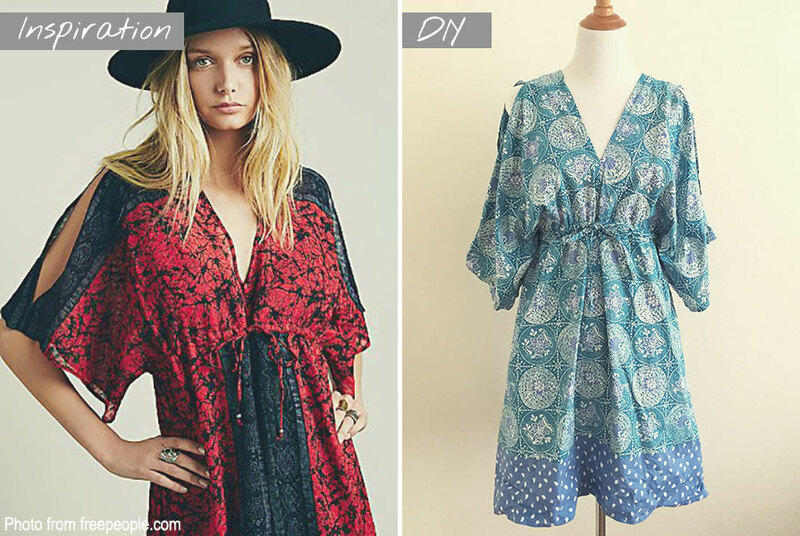 On my sewing pattern wish list are (below, left to right): Yoke dress by SALME, Red bow belt shift dress by Lekala patterns and Cap sleeved safari dress by TipTopFit. Sashiko is a type of Japanese embroidery using even stitches to form a repeating pattern (I did a sashiko book review here). I’d love to practice more and eventually design my own sashiko embroidery patterns. 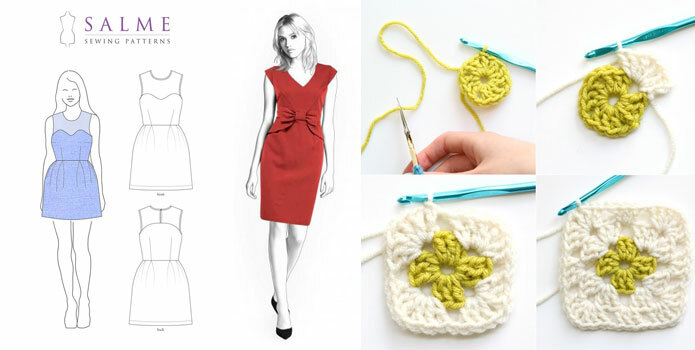 Whenever I’m stuck on a sewing or craft project, I find myself watching a tutorial on YouTube. It makes more sense than instructions or photos! That’s why I’m planning on venturing into the world of YouTube, with my own sewing tutorials and book reviews. 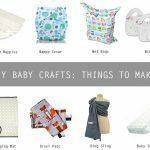 Sure, there’s other crafts I want to try, but five feels manageable. What are your sewing and craft goals for this brand new year? Those are great goals. I’m determined to understand knit fabric this year too. I have also set myself a huge challenge (for me) I’m going to sew a dress for my nieces birthday. I’ve measured her and she’s looked through some pattern books so there is no going back! I have warned her not to expect too much from me though! 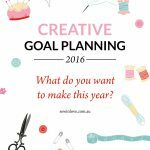 Goal Setting for 2016: What do you want to CREATE next year?